Y'ALL. This post has been a long time coming! It's taken me a while to really gather everything up, but it's finally here! My best purchases post from last year was a huge hit with all of you, so I wanted to do it again this year to share all of my favorites! I'm splitting things up by category to make things a bit easier, but that also means that it's a bit on the longer side! Even longer because I'm sharing a few details in each category. Let me know if any of these items made your favorite purchases list too! Topshop Jeans: I think this pair of jeans has kind of changed my whole view on denim. These are extremely comfortable and flattering, and so dang soft. The only issue I had with them is that they gave me a rash after wearing them the first time. However after washing them a few times (some jeans have chemicals to make them wrinkle-free in the store) I haven't had any issues. I think I'll be buying Topshop jeans more often! Cable Knit Balloon Sleeve Sweater: I ordered this sweater when I saw a blogger friend of mine wearing it. It was on sale so I grabbed the ivory color. I fell in love with it, so when it went on sale again for 50% off I bought two more colors (maroon and light pink!). It's super cozy, warm, and can be worn off the shoulder if you like. I've been wearing these sweaters non-stop, this might just be my favorite purchase overall! Scalloped Platform Espadrilles: I picked up the gray pair of these at Nordstrom Rack a few months back and think they are a great pair of everyday shoes. I love shoes that I can just slip on, and these are such a cute option. I love the scallop details too, they're subtle enough that they don't dominate the whole shoe, but are still a sweet touch. Monogram Necklace: I wear my monogram necklace constantly. It rarely ever comes off my neck. My parents gave me this one when I asked for it for Christmas last year and it's now one of my favorite things I own. Plus, if you're in the market for a monogram necklace, this is the best price you can get! Faux Leather Leggings: I ordered these on Black Friday and am so glad I did! I practically live in leggings, but they don't always make for a great look. These add a little extra something that makes it look like you didn't just throw them on and then walk out the door. Plus for less than $20 they're so worth it! For fit I would size down since they do run a bit baggier! Pink Adidas Sneakers: I don't think I've ever loved a pair of tennis shoes more than these ones. The color is beautiful, and they're incredibly comfy to walk around in! They're a little bit of a splurge, but totally worth the buy. Free People Embroidered Dress: The original color of this dress is no longer available, but there are still a few different ones in stock! I love the embroidery of this dress and it doesn't hurt that it's extremely comfortable. In the spring and summer I wore this practically every day! White Tufted Headboard: Y'all I LOVE this headboard. It was less than $110 and was exactly what I was looking for. It's sturdy and plush, and high enough that my throw pillows don't cover it completely when they're on the bed. My bed is full sized and the headboard is meant for a queen, but if you have night stands it covers the legs. Tall Wall Mirror: This isn't the exact mirror I bought (not available online), but I actually think it's prettier, HA! I wanted a tall mirror for my room for a while and this one became available on my school's free and for sale page so I snagged it! I absolutely love how it looks in my room and almost makes it look bigger than it is. Rose Gold 'Vintage' Trunks: My sister bought these trunks for me for Christmas and I think they're absolutely beautiful! I use them for storage since they look nice and are extremely spacious. Faux Peonies in Vase: Fake flowers are weirdly one of my favorite things for the home. Although I love love love fresh blooms, they aren't the easiest to take care of and can become quite expensive if you're always buying them. These ones add a nice pop of color and chicness to any room. Can you tell that I tried and loved quite a few beauty items this year? All of these are incredible and I've mentioned most of them on the blog or Instagram at some point this year. There are so many of these that I've decided to pardon you all on the descriptions (as most are pretty self explanatory), however if you have a question about any of the products I would love to answer them for you in the comments, through email, or even just an Instagram DM! That embroidered dress is adorable! I'm such a sucker for anything Free People. They always have the best clothes. I do own some of these products (e.g., ABH Modern Renaissance palette, UD All-Nighter Setting Spray, etc. ), and I love them, too! Awesome round-up! I love those Adidas sneakers! They are too cute. I picked up a few of these items as well along the way in 2017! I have been wanting those pink Adidas shoes so bad!! They have been sold out everywhere lately. I have had my eye on that suitcase as well. 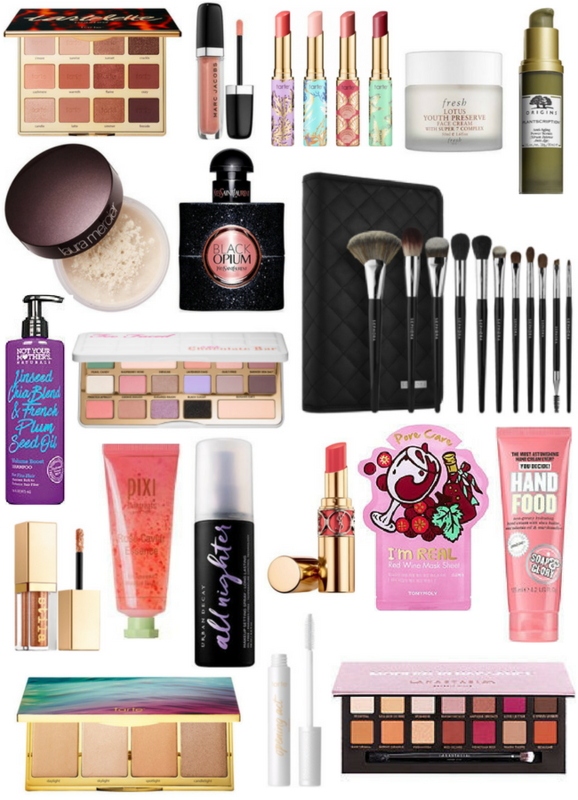 As far as beauty products....I have tried out so many as well. That Tarte palette is one of my go to's recently. Of course I can't live without the all nighter setting spray. Great round up! ahhh love this post! 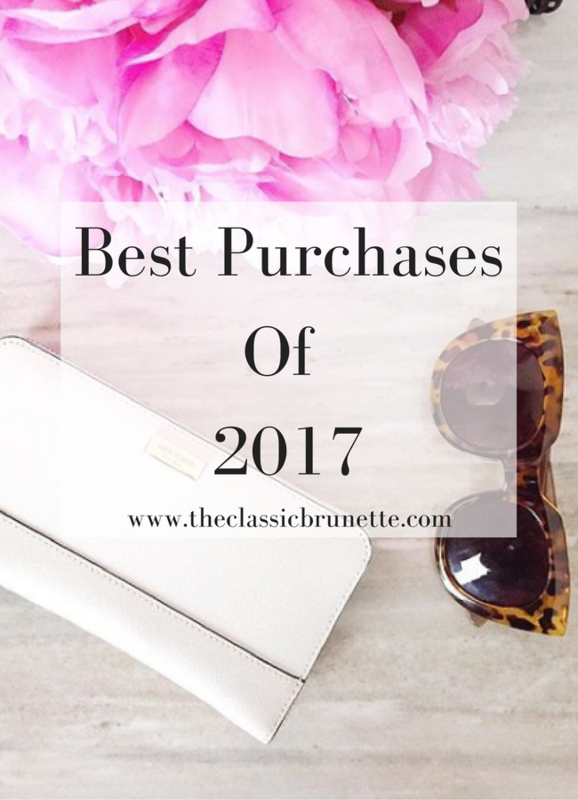 You had so many great finds in 2017!! I still really want a fuzzy rug like that! I love those sneakers, and you got so many good makeup products! Oh I love a lot of these too! Need that sweater. I love that you purchased the Vogue Covers book. What a fantastic book! Your makeup choices are outstanding as well!! I love all those items they are all so cute!!! LOVE the selection. The embroidered dress is gorgeous. Love the white trunks and mirror. I need all of these! Very nice! The warm reds eyeshadows and the faux leather leggings are standing out to me. Since having my daughter, my old ones no longer fit and it may be time to replace with a better size :) Lots of great purchases you had in 2017! This is awesome. I love ALL of these products! I love everything! That headboard and the mirror are things I dream of buying some day! You've got my number! I love everything you picked. The espadrilles are so cute! I love the scalloped detailing. I might have to order these in time for spring. 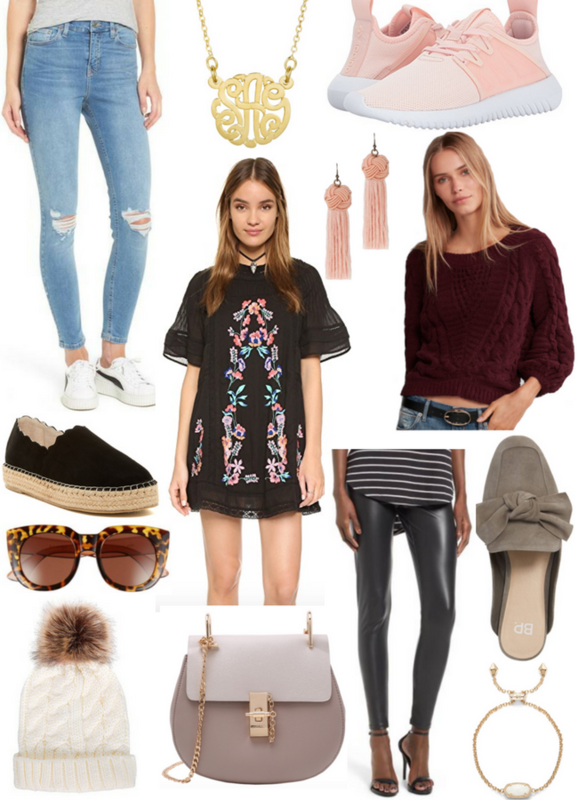 Those black espadrilles are so cute!! I've been looking for a pair like that! So many amazing items in this post! 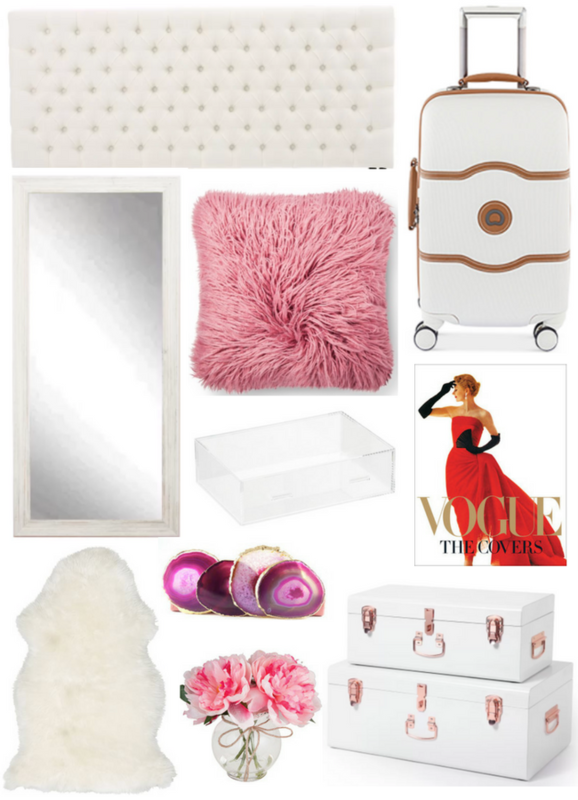 I love all of the home goods: we have very similar styles! Those trunks are especially beautiful and great for storage as you mentioned. I recently purchased a shearling rug so I can use it for flatlay pictures and I'm absolutely loving it! The Free People Dress and the YSL Rouge lipstick were also 2017 favorite for me! So many great things! I love all your home decor and beauty favs!